The Miami Dolphins find themselves in a familiar position. They’re being questioned and disregarded as also-rans in the NFL. The national media has returned to their Dolphins-bashing ways and the Dolphins’ fanbase is in full-blown mutiny. There are daily shouting matches between Tannehill supporters and Tannehill defenders. The Dolphins got blown out by the Patriots in week 4 and followed that up by blowing a 17 point lead against the Bengals in week 5. Editor’s Note: The Dolphins are 3-2 and still have 11 games left this season. Yes, the blowout to the Patriots exposed a lot of the Dolphins weaknesses. Yes, the Dolphins fell apart in the 2nd half against the Bengals. Yes, injuries on this team (specifically the offensive line) are mounting. BUT, the Dolphins season is not over…..not by a long shot. The Dolphins must fix some critical mistakes (i.e. penalties, 3rd down conversion rates, scoring on offense, etc.). But there is hope and there is plenty of time. The thing is, the Dolphins will need to get back to their winning ways….and soon. 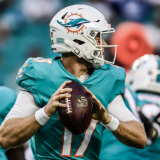 Ryan Tannehill played one of his worst games as a Miami Dolphin. He was standing on the field when the Bengals scored 2 touchdowns. Hint: That’s not supposed to happen and therefore not good. Tannehill HAS to be more careful with the football. He usually is and one could argue that the odd pick-six was a fluke play. On that play he was trying to throw it away, but probably should have just taken a sack. Last point on Tannehill because we all saw how bad it was Sunday; He is a dramatically different quarterback on the road than at home. 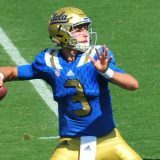 His QB rating is over 91 at home and around 82 on the road. Thankfully, 3 of the Dolphins next 4 games are at home. They’d be wise to win those 3 games, if they want to keep their division & playoff hopes alive. 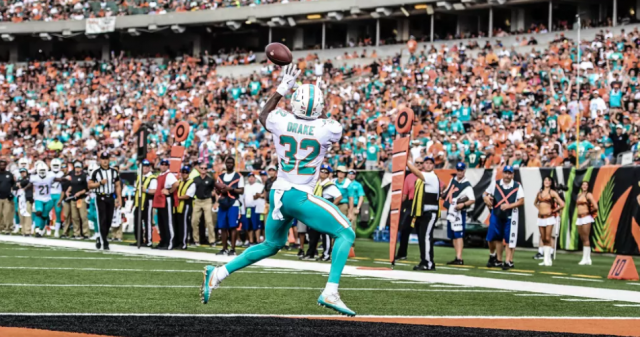 The Dolphins young defense was bolstered by the return of Reshad Jones. They limited the high-powered Bengals offense to just 13 points, in Cincinnati. Very impressive for that group. If Tannehill could have avoided the 14-points worth of turnovers, the Dolphins might have been able to hold on and win, strictly by playing ferocious defense. By the way, the Dolphins defense did what they did without Cameron Wake, Alan Branch, and Bobby McCain. 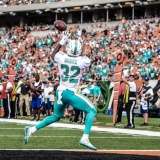 The Dolphins hope to get Wake and Branch back this week and McCain back later this month. Kenyan Drake was woefully underutilized early in the season, but we started to see him get more touches against the Bengals. Mr. Gase, please give him even more touches this week. Jakeem Grant is a beast. The guy just makes plays whenever he’s on the football field. His 70 yard punt return TD was a thing of beauty and showed off his unnatural speed. Get him the ball more! Laremy Tunsil….please get well soon! He’s in concussion protocol and was missed badly in the 2nd half against the Bengals. 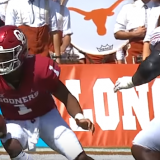 By the way, Tunsil’s backup, Sam Young, was atrocious on Sunday. Pro Football Focus’ grade for him was a 12….a 12. A freaking 12! In case you aren’t familiar with their grading system, that number is out of 100. Xavien Howard and Minkash Fitzpatrick did a good job containing (but not stopping) AJ Green and Tyler Boyd. Shoutouts to Jerome Baker, Raekwon McMillan, Vincent Taylor, and Davon Godchaux are all young players that have flashed and give hope that this young defensive front 7 could be very good in years to come. Kudos to Matt Burke for coming up with a good defensive gameplan against a good Bengals team. Shame on Adam Gase for his offense only putting up 10 points against a slow Bengals defense. I partially blame myself for this Dolphins loss. Why? Well, when the Dolphins extended their lead to 17-0, I allowed myself to start thinking about being 4-1 and what the win would do for the Dolphins season. Granted, this thought was fleeting and only stayed around for about 5 minutes before I remembered that I’d seen that film before. I knew how it ended. We all did. In reality, the Dolphins are sitting at 3-2, tied atop the AFC East with the Patriots, but with only 1 game separating them from the Bills and Jets. I don’t think the Bills and Jets will be that close in the standings at the end of the season. Hopefully the Dolphins can group together some wins and keep the pressure on the Patriots. But first, the Dolphins need to take care of business this week at home against the division-leading (3-1) Chicago Bears. Be sure to follow us on Twitter @PhinNation! Will we not win with Tanny as our leader.lifetime find fan got the please of watching BOB GRIESE, AND DAN MARINO. It’s a shame, Miami’s head couch Gase is in disgrace, Gase is not a real couch leader. Next story Pitiful Picks: Time for the Dolphins to get back on track? Previous story Pitiful Picks: Will the Miami Dolphins ‘Wake’ Up in Week 5?